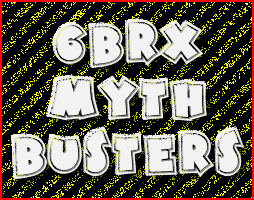 Graphic from Red Sky Adventures Motorcycle Tours. 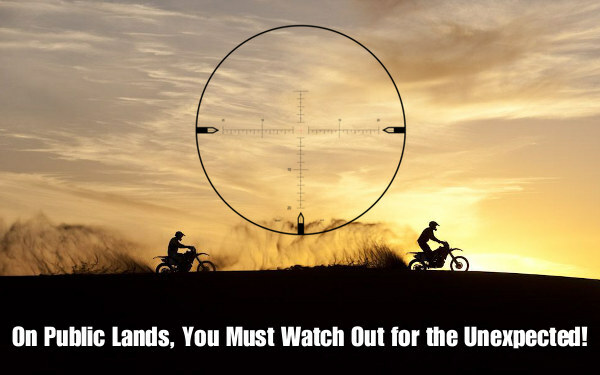 This story is about safety — how you must be extra careful when shooting on public lands. Don’t assume that other people will hear your firearms or respect the posted boundaries of a shooting range. To drive this point home, we feature a video that should send chills up and down your spine. This scarey movie about two-legged creatures that appear out of nowhere… while you’re shooting. Watch this video carefully. 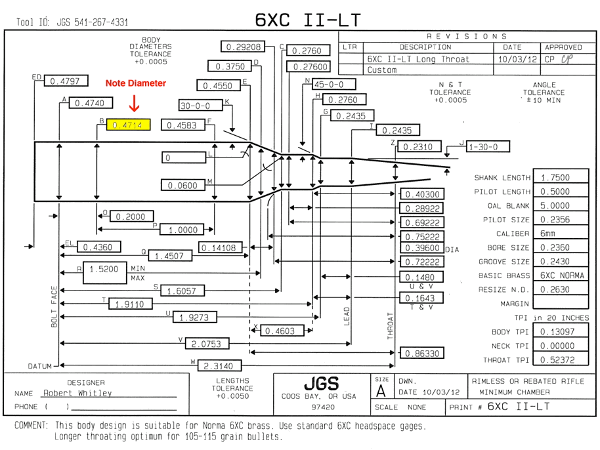 Something happens at 0.38″ that will make your heart race. Warning: Adult language — Not suitable for playback at work. Share the post "Watch OUT! 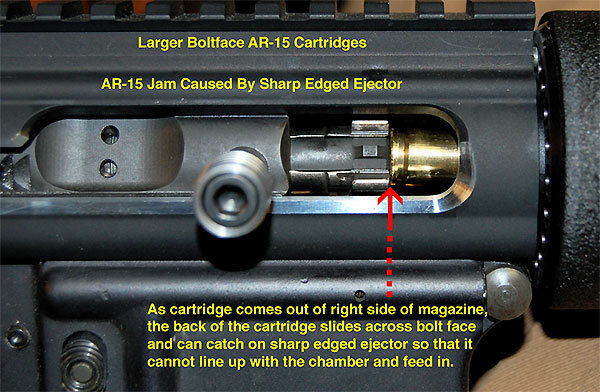 Be Extra Careful When Shooting on Public Lands"
As a competitive shooter and a builder of custom AR-15 accuracy competition uppers, one of the frequent requests I have from shooters is for a recommendation for a good bloop tube. 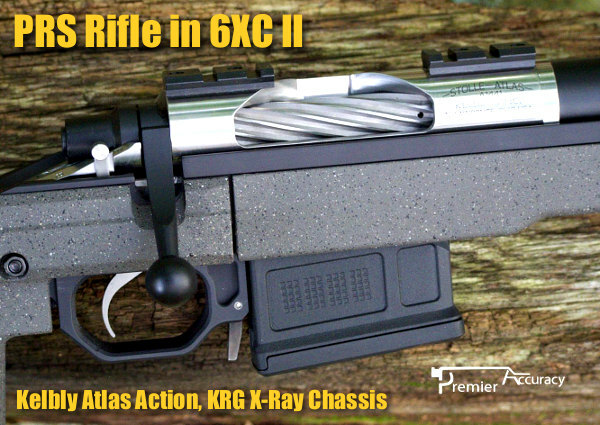 What people want is a bloop tube that is light and strong, one that has no detrimental effect on accuracy, one that works well with many of the existing front sights, and can be removed and re-attached quickly and easily with no loss of zero. 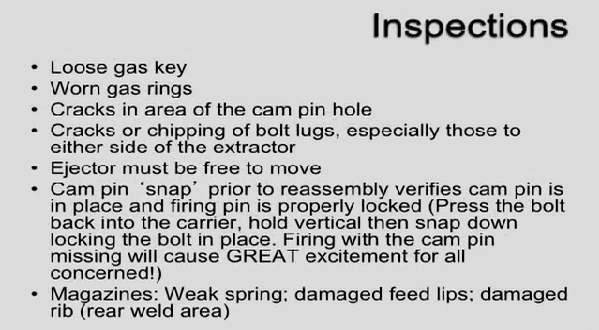 For years finding a bloop tube that fulfills all these requirements has been a somewhat elusive exercise. I am pleased to report that I have found the Houle Bloop Tube to meet all my requirements. In my opinion, this is the best bloop tube on the market, by far. 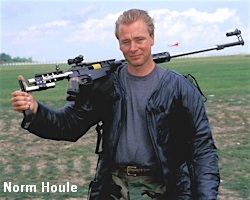 You can order a Houle tube from Norm’s Website, TopGunRI.com or e-mail Norm at topgunngh [at] verizon.net. 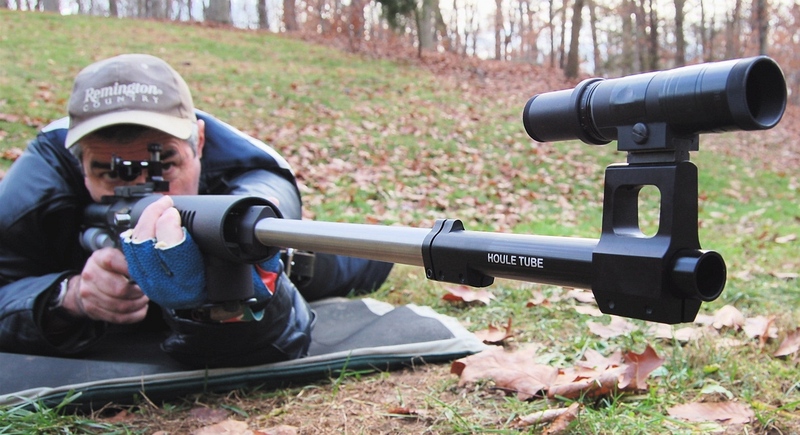 Norm Houle is a High Power and long-range shooter who has used these tubes to win National High Power Rifle Championships multiple times in past years. 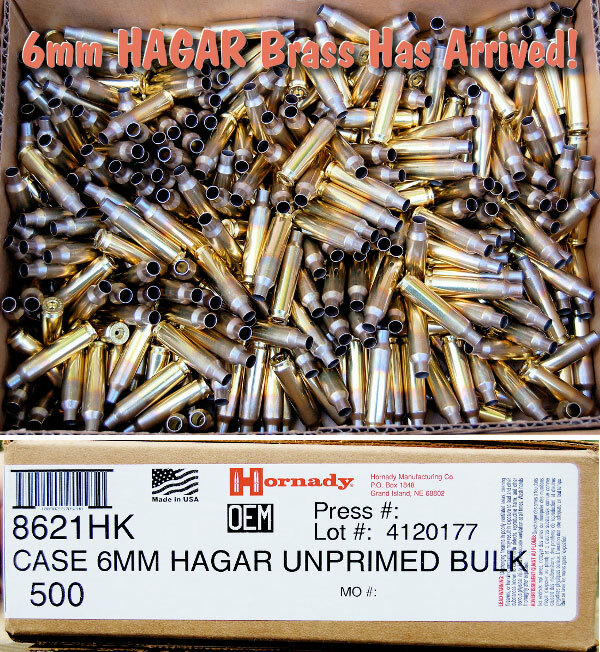 This past summer at Camp Perry, Norm’s bloop tubes were used by top “podium level” shooters in various events, including David Tubb, who won the National Long Range Championship using one of Norm’s tubes. Rodrigo Rosa also used Houle tubes this year to place second in the National High Power Rifle Championship and third in the Long Range National Championship. Accuracy with the tubes in place is excellent! 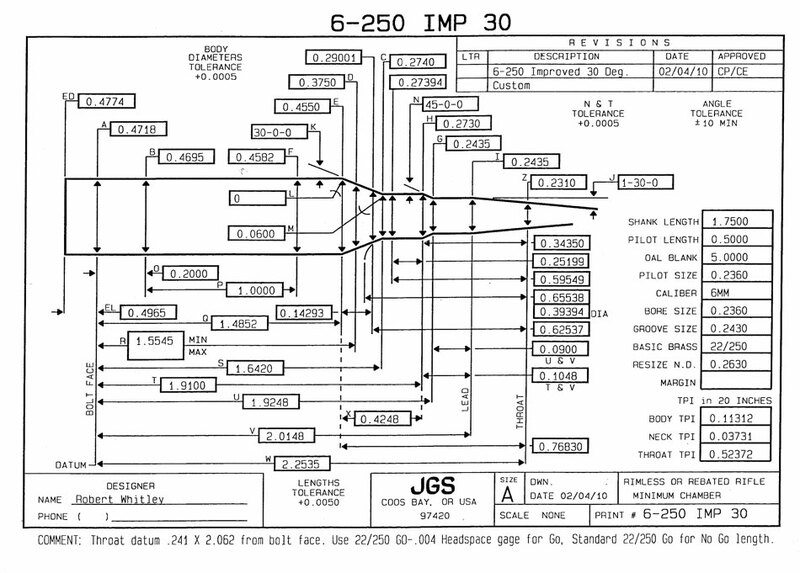 The tube assemblies are two piece clamp-on tube assemblies, and the bloop tubes can be removed and re-attached with no loss of zero (and I mean no loss of zero). This is a big one! Over the years I have had quite a few clamp on tubes, but few of them repeated like these. 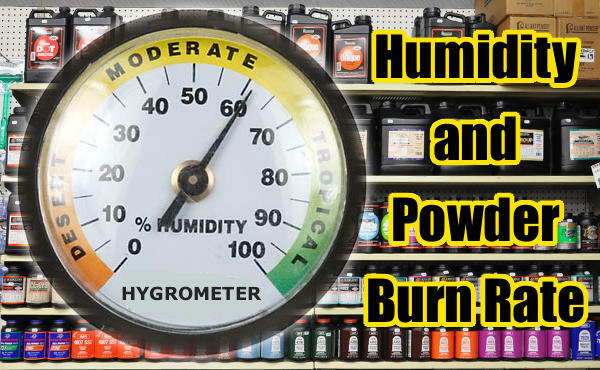 The tubes are very light but also very strong and low profile. Some of the clamp-on bloop tubes I have had over the years were huge, heavy and provided a large side profile (crosswind sail factor for offhand, etc.). 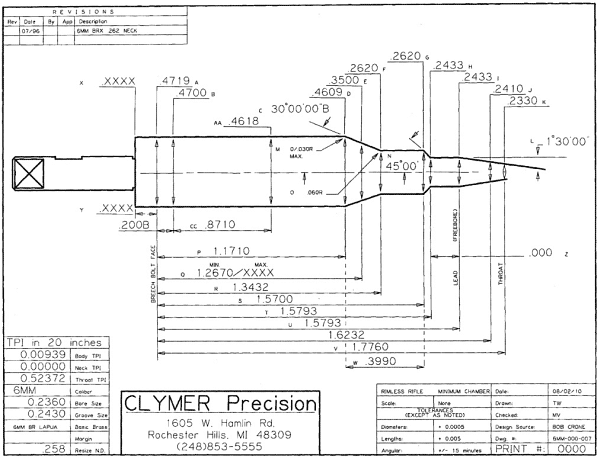 Norm offers 2″, 4″, and 6″ bloop tube lengths. 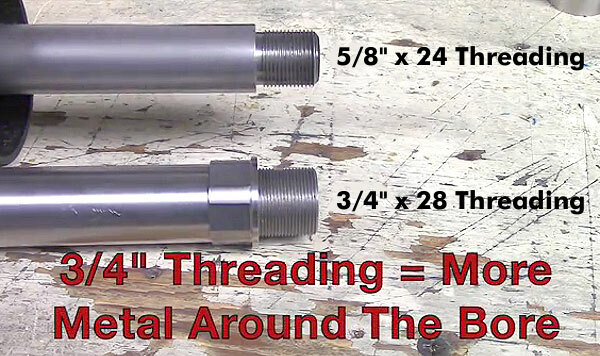 The tubes are made to work with a .750″ dia. 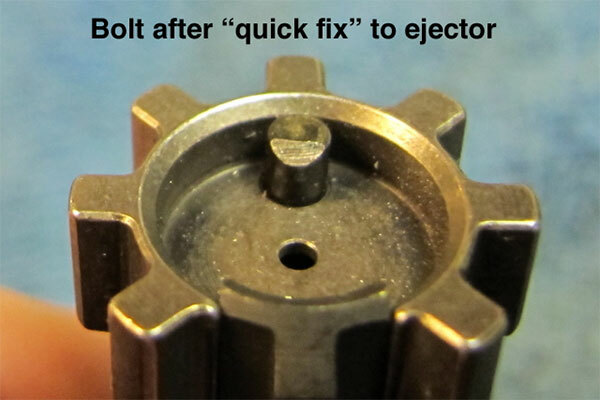 muzzle turn down and both of the ones I have work perfectly with a minimum turndown of 1.625″ long which provides enough “front-back” distance to permit the locating ring and bloop tube to be properly mounted on the barrel at the same time and work as they should. 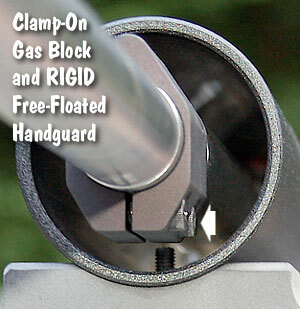 The tubes are also set up to use front sights set up to mount on a .750″ diameter mounting. 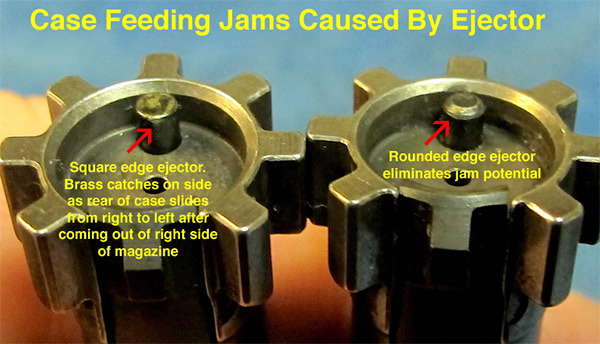 Each tube assembly has a clamp-on locating ring plus a clamp-on bloop tube that positively indexes off a tapered pin that protrudes from the locating ring. 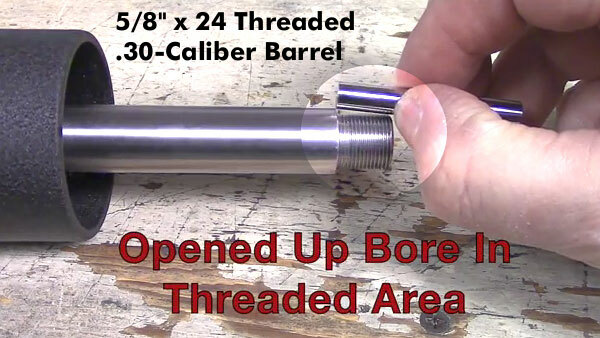 The locating ring is light but very strong and absolutely stays put when you clamp it on the barrel end (clamps on with one screw using a common 7/64″ Allen wrench). 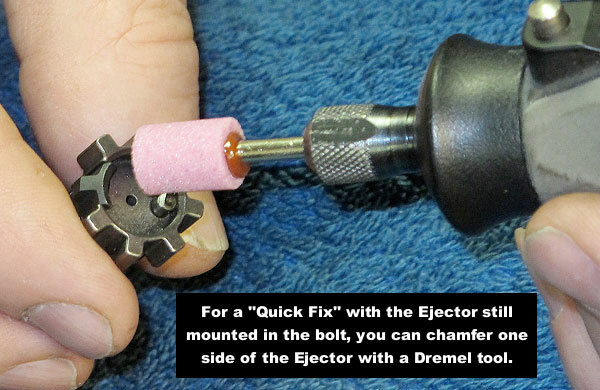 The bloop tube part of the assembly has two clamp-on screws (use a common 7/64″ Allen to put on, mount and take off). 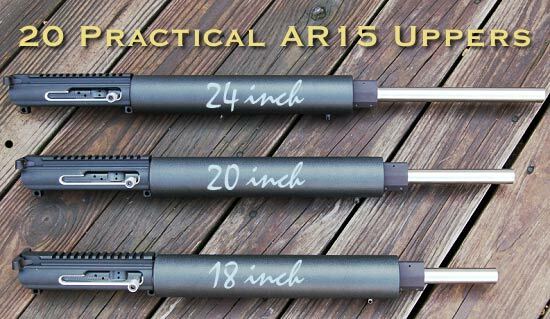 You can buy one tube with two or more locating rings and set multiple rifles up so you can move your bloop tube (with front sight attached) from rifle to rifle. 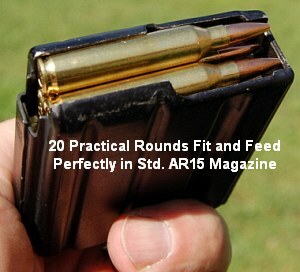 You can also use two different bloop tubes to mate up with one locating ring on the same rifle. 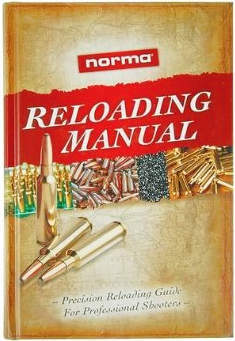 Norm uses a 2″ tube (with a front sight attached) for offhand and rapid sitting at 200 yards (short tube minimizes crosswind sail factor). 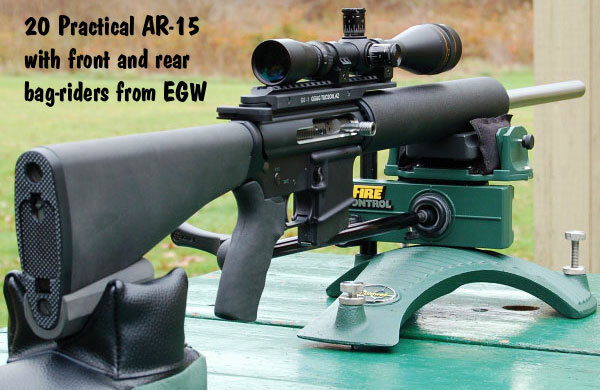 For 300-yard rapid prone and 600-yard slow prone, Norm takes off the 2″ tube and mounts a 6″ tube on the rifle (with a front sight attached to it). Norm switches back and forth as needed from match to match (a 4″ tube is also offered). Norm noted that Rodrigo Rosa also used the same Houle bloop tube set-up with two different tubes this year at Perry to take second overall. 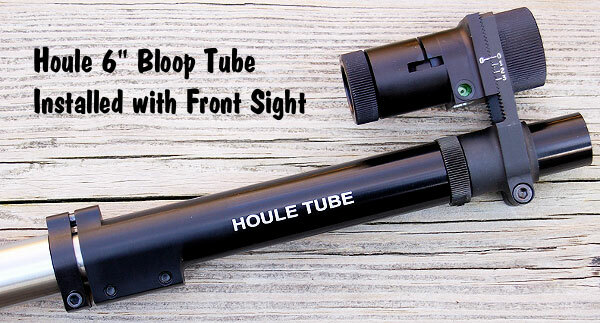 The price of a Houle bloop tube assembly with locating ring is $125.00. That’s more than some other brands, but a good value considering the design, features, and high-quality construction of Norm’s bloop tubes. Just as with all sights and optics… you get what you pay for. 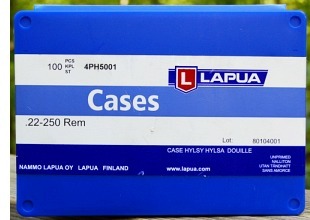 Share the post "Gear Review: Houle Bloop Tubes for Match Rifles"
As some may know, I am predominantly a prone shooter and do most of my load testing prone with a sling. 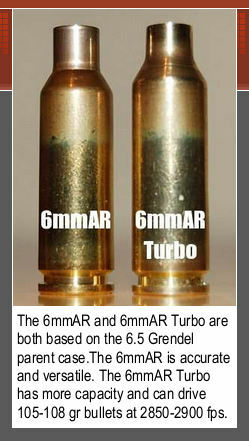 I chose to do the same with these Hybrids, to see how they would perform when fired as they would be in a prone match. In this case, shooting prone with sling, I shot four 10-shot groups (two 10-shot groups in each of two range session). All four groups were right around .5 MOA (i.e. 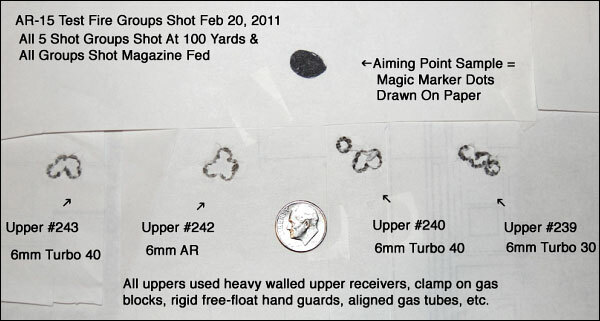 each group about .750″ edge-to-edge, minus a bullet diameter of .243″ = .507″). 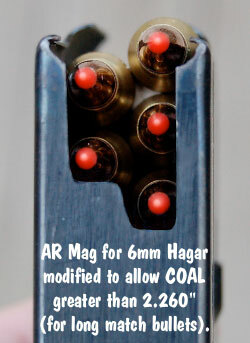 The new Berger 6mm 105gr Hybrid bullets had no problems doing this. 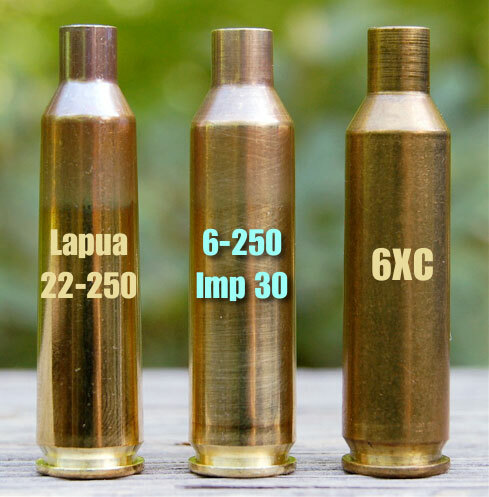 The groups shot were also consistent with the best groups I have been able to shoot in the past with the Berger 108gr BT bullets and the Berger 105gr VLD bullets, and I consider both of those bullets to be excellent and accurate. 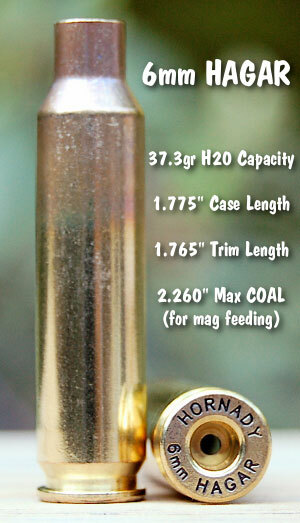 There is no question in my mind that these new Hybrid bullets are accurate, and the consistency is there! Check out my test targets below. The two 10-shot targets above were shot at 100 yards on September 30th, prone with sling. 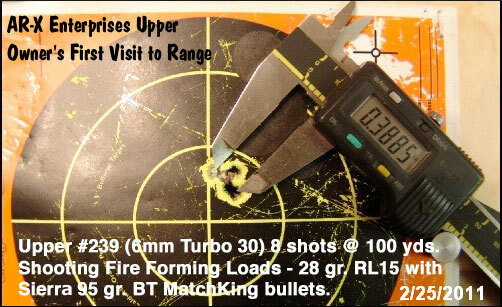 The 6 BRX load was: Berger 6mm 105gr Hybrids, Lapua brass, 32.0 grains N140, Federal 205M-AR primers, .020″ jump. Note: If you put the targets over each other the groups line up perfectly. These two 10-shot targets (above) were shot at 100 yards on September 23, prone with sling. 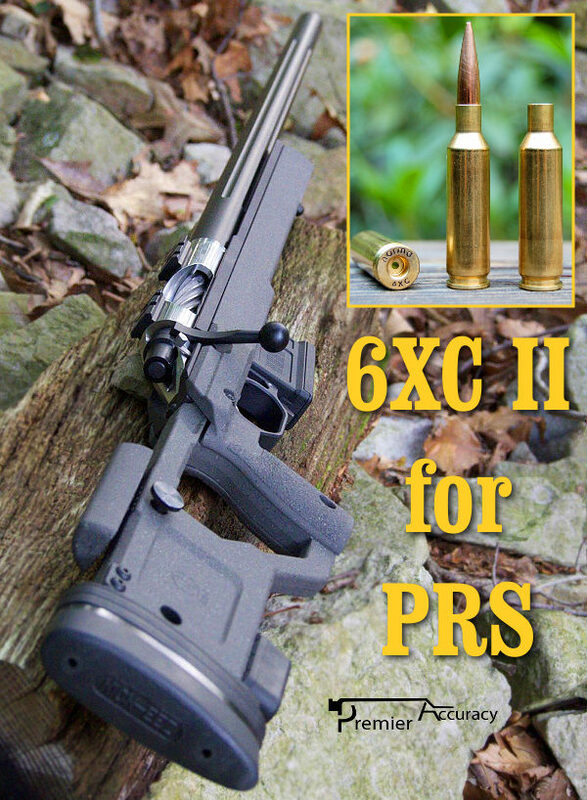 The 6 BRX load was: Berger 6mm 105gr Hybrids, Lapua brass, 31.0 grains H4895, Federal 205M-AR primers, .020″ jump. 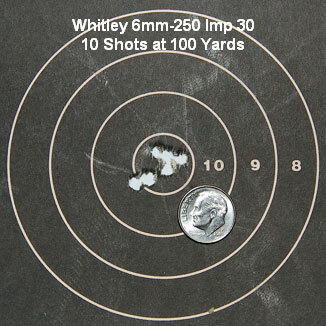 When I can shoot 20 Xs in a row (as I did with these two targets) the rifle is really shooting well. Accuracy needs to be coupled with consistency, especially when running longer strings of fire or in matches demanding a larger number of hits on the target. 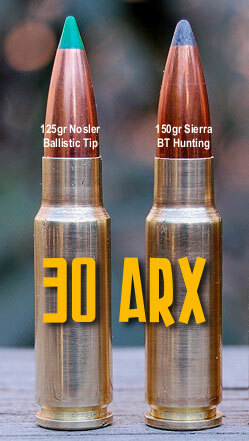 I am pleased to report that I have found the Berger 105gr Hybrid bullets to be consistently accurate bullets (i.e. there were no anomalies or fliers, they just keep going where you pointed the rifle). At each of the last two range sessions I shot back to back 10-shot groups with no break between the two (i.e. 20 shots in a row and only switching to the next target after 10 shots). Not only did the individual 10-shot groups stay tight, but if you hold each first target over the second target, the groups are right on top of one another. This is what I look for in terms of consistency — that I can keep shooting, and the bullets keep going right into the group, with no odd fliers. 1. 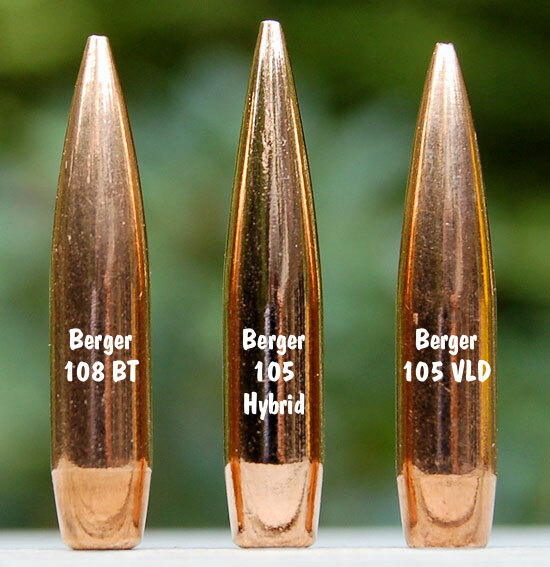 For a chamber with a 1.5° throat angle, and the bullets touching the lands, the Berger 105gr Hybrid bullets sit up in the neck a little further than both the current production Berger 105 VLD Target bullets and the Berger 108gr BT bullets. 2. 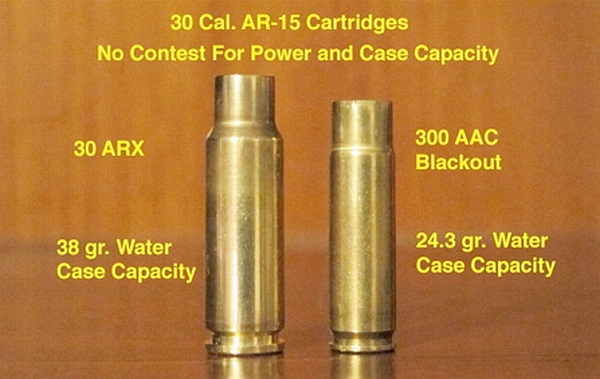 Based on basic measuring and testing, for the junction of the boat tail and bearing surface of a 6mm 105gr Hybrid bullet to be in the same spot as other bullets, the 105 Hybrid (Lot #3079) would need about .020″ – .025″ less freebore than recent production Berger 105gr Target VLD bullets (Lot #3220) and about .030″ – .035″ less freebore than recent Berger 108gr Target BT bullets (lot #2791). 3. Since the Hybrids are designed to work both in the lands and jumped away from the lands, some extra freebore may not be a bad thing. 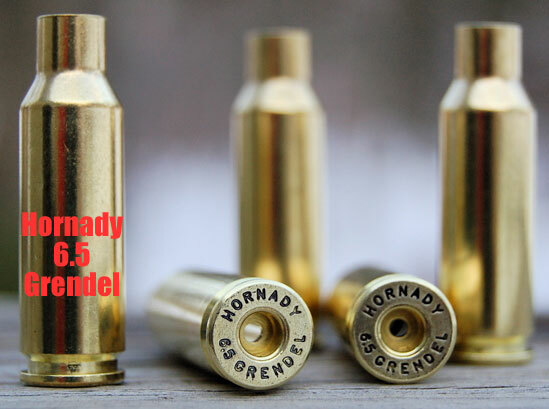 In truth, the 105 Hybrid bullets should work well and fit well in various 6mm chamberings (such as 6 BRX, 6 Dasher, 6mmAR etc.) 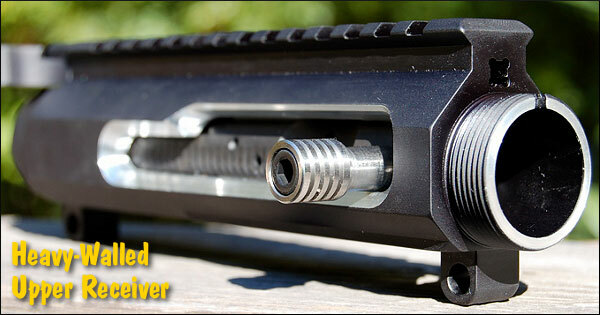 which have been optimized for the previous generation, non-Hybrid 6mm Berger 105s and 108s. 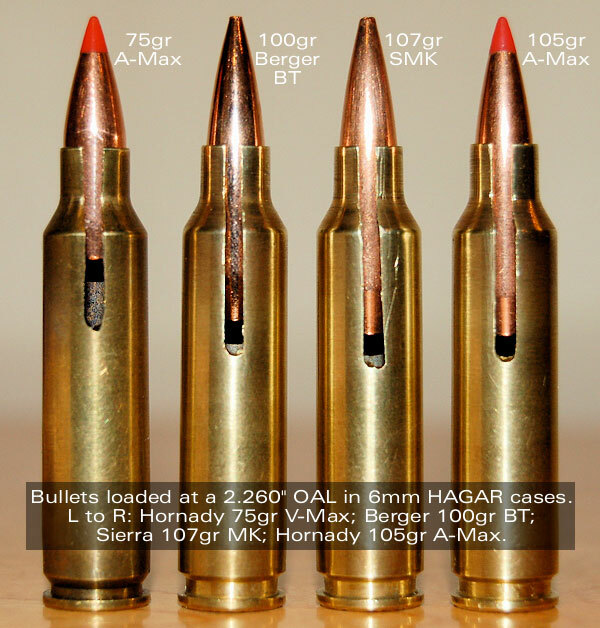 Share the post "New Berger 105gr 6mm Hybrid Bullets Perform Well"